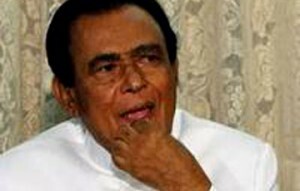 Government’s Sinhala hardline ally the Jathika Hela Urumaya has called for the immediate resignation or arrest of Prime Minister D.M. Jayaratne. The JHU is demanding that the Premier reveal the name of the official who had asked for import duty concessions on a shipping container at the Colombo port that held 131 kilos of heroin, Asia’s biggest ever captured haul. JHU Leader Omalpe Sobitha Thero charged yesterday that the Ministry of Buddha Sasana which functioned under the Premier was becoming a centre for the destruction of Buddhism in the country. “The Prime Minister should be arrested if he fails to provide details of the criminals working for him,” the monk said. Do We Have A Reformist Trend Within Sri Lankan Buddhist Society?